If you are interested in integrating Zeroshift into your transmission we offer a staged development programme for customers. 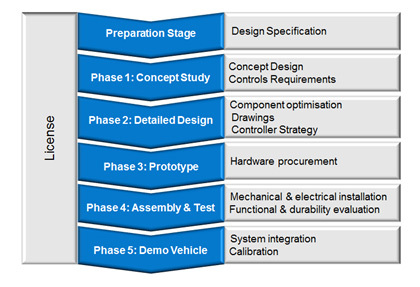 Typically customers engage us on a Study which will indicate feasibility, the cost and lead time to produce and supply a prototype. Contact us for information.